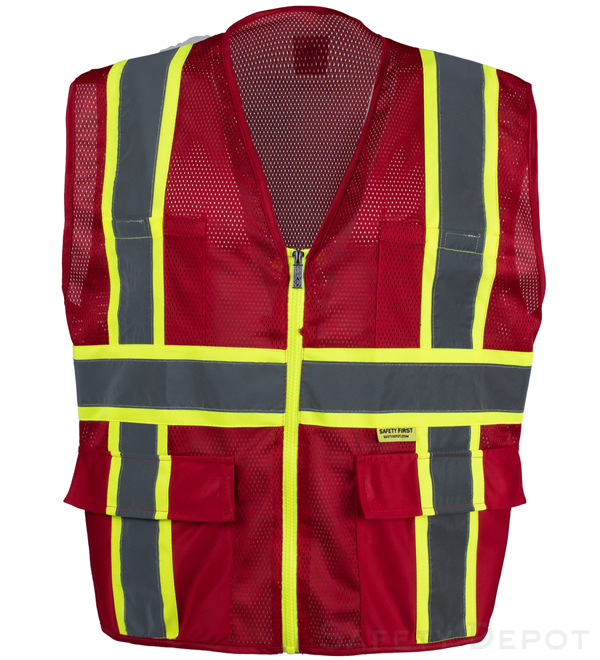 Hi visibility red safety vest featuring multiple pockets with 3 inch wide tape combined with 2 inch reflective stripes for two tone safety and visibility. Proven quality and reliability with multiple washings and ample space to allow personalization with your logo or company name. From reflective tape of Insert State, California on 5/7/2017 . From Eddie Bobo of Columbia, Tennessee on 2/22/2017 . I ordered 2 vest. One for me & the other for a coworker. My order arrived earlier than I expected. The quality of the vest are second to none. I would highly recommend this vest to anyone.